25, through the weekend, including evening and night buses. Campus Loop service resumes on Monday, December 1. 3A Lafayette Square detour expires Sunday, November 23. Regular route service resumes Monday, November 24. Route 4B Purdue West/Downtown detours through Purdue Village when inbound. There is no inbound service on State St. between Airport Rd. and S. Martin Jischke Dr.
5 Happy Hollow service is reduced to one bus operating on a 60 minute frequency from 9:30AM to 4:00PM. Route 8 Klondike Express does not operate on days when classes are not held. Rd., Williams, and S. Grant will not be served. The detour on route 3A Lafayette Square, which has been in effect for several months, will expire on Monday morning, November 24. The bus route has been detouring due to the closure of State St. and Earl Ave. These streets are now open. 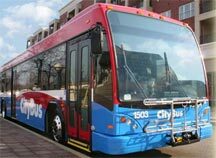 CityBus will continue operating the detour through Sunday, November 23 in order to allow time for passengers to become aware of the change.